I worked with Brave to create a one-page informational + inspirational website in preparation for their Kickstarter launch. The goal was to build excitement around the product, an IoT connected electric scooter (or mayhem machine, as owner Jay fondly referred to it), in the months leading up to the campaign. 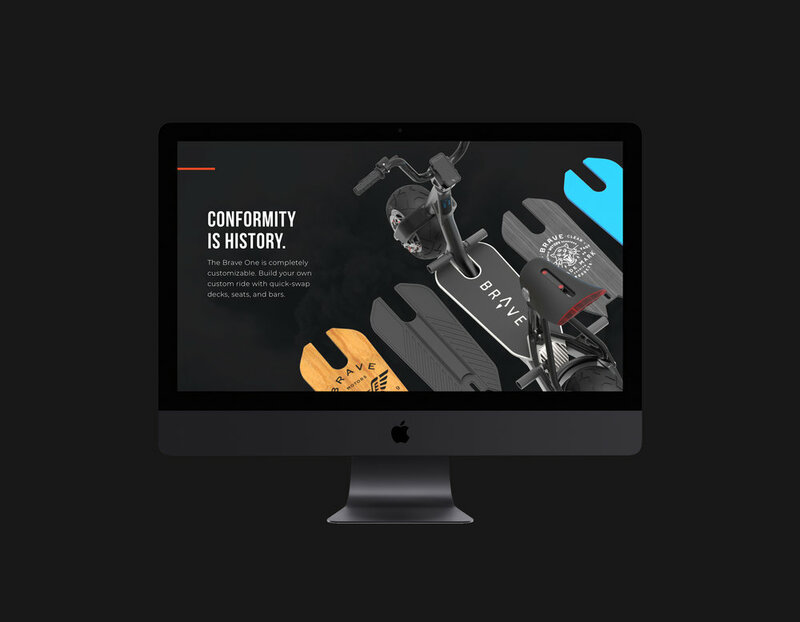 I took Brave’s existing branding, which is steeped in gearhead mythology and California surf/moto-culture, and applied that aesthetic throughout the site. Using bold typography, contrasting and bright colors, immersive video, and big, badass renders, we gave Brave the introduction it deserved.